Blunt represented the first time zero camber and rocker had been used in a board shorter than 110cm, and at 88cm it's considerably shorter. The short rockered Blunt is back for 2019. This is the 5th iteration of the 2014 Blunt which represented the first time zero camber and rocker had been used in a board shorter than 110cm, and at 88cm it's considerably shorter. This translates to incredible maneuverability and agility yet the super wide bodied width profile (16.0/13.8/16.0cm) will defy what was previously thought possible at this length. 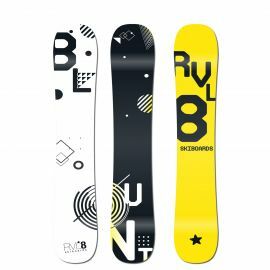 This is RVL8 test pilot Dave Steven's comments after his first ride: "This little beauty represents the very essence of skiboarding. No argument about nomenclature, this is a skiboard, period. Riding it is like being on that product we always dreamed of. It's so not just a short ski. 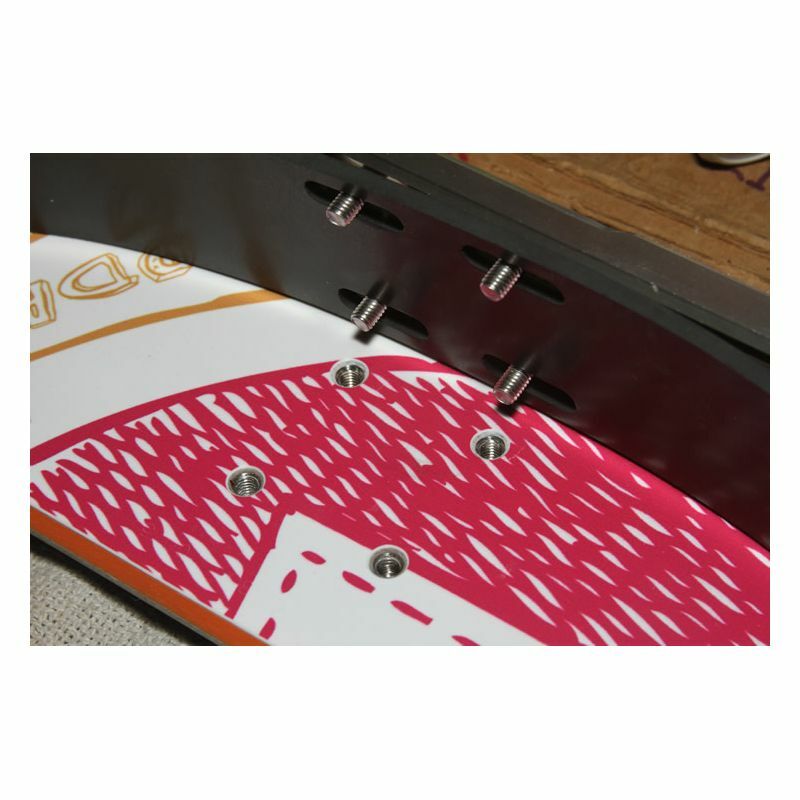 It's also a perfect gateway product for people wanting to get in to soft snowboard boot riding. It has a very similar turn characteristic to the RVL8 Rockered Condors but with less swing weight, so the pivoters will love it. Seems so hard to believe we can get so much performance with this level of portability. This is a real 'public transport' board. Overall, they are just so much good old fashioned fun. A really joyful experience. Don't change a thing!"